Almost all of use experience unpleasant headaches from time to time. When was the last time that you had a headache or a migraine? Almost everyday you see someone complaining of a headache. In fact, headache is one of the top reasons people buy over-the- counter medications or prescription drugs. There can be any number of causes for this including vascular issues, tension, injuries, muscle contractions, inflammation or withdrawal from the consumption of some medications. In general, headaches are categorized as primary or secondary. The primary headache is a clinical condition on its own not caused by another medical condition. On the other hand, a secondary headache is the result of another disorder, namely head injuries, sinus problems, brain tumors, dental issues or even allergies. In the category of primary headaches, there are three sub-categories–migraines, tension-type, and cervicogenic. The most common form is a tension-type headache. These recurrent headaches may last for a few minutes to even days. Although varying in intensity, all these types of headaches are often felt as dull pressure. Migraines also vary in intensity, from moderate to intense, and usually occur on one side. It often involves a throbbing or pulsating feeling. Any form of activity, noise or light may aggravate it and sometimes may be accompanied by nausea and vomiting. Some patients also experience neurological symptoms such as aura that develops slowly over the duration of 5 to 20 minutes. Changes in vision and short flashes or light waves can be experienced as well. Rebound headaches or chronic headaches can occur almost everyday. They may feel like tension headaches or sometimes migraines. If you overuse pain medications, headaches may get worse. Prominent symptoms of primary headaches are tenderness of cervical muscles and neck pains. In a less common type of headaches called cervicogenic headaches, the headaches are directly caused by a disorder of the neck’s soft tissues or bony structures. Some headaches may be signs of serious medical conditions. If you experience a headache after trauma, or if the headache is accompanied by vomiting without nausea, severe dizziness or high fever, you should seek immediate medical attention. As excessive consumption of pain medications can inflict greater damage, acupuncture could serve as a safe and effective alternative treatment for all types of headaches. A study published in the Canadian Medical Association Journal proved that migraines lasted for fewer days with acupuncture treatment, and the effects lasted longer after the treatment was over. In this 4- week long study, 500 adults were treated with acupuncture who suffered from various types of headaches. 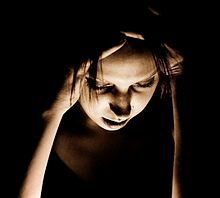 After the treatment series, migraine patients reported a decreased duration of their migraines after the treatment. Improvements in the intensity and frequency of the migraines were noted as well. Another study was conducted by the researchers of Duke University where 4,000 patients with varying kinds of headaches were examined. 62% of acupuncture patients noted relief in their headaches in comparison to 45% of patients who took pain killers. While acupuncture is performed, instantaneous and marked increase in blood flow to tense muscles was observed. A low-frequency electrical current may be applied to the needles to enhance the effects of acupuncture in aiding circulation. 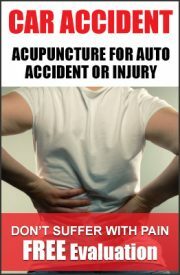 One of the greatest benefits of acupuncture is that it has no side effects, quite unlike over-the- counter medications. Acupuncture stimulates the parasympathetic nervous system and reduces muscle tension. As emotional stress is a common trigger for headaches and migraines, this type of headaches is effectively treated by acupuncture. The constant stress that most people suffer from is the result of over-activated sympathetic branch of the nervous system while the parasympathetic branch is restricted. This imbalance directly leads to insomnia, premenstrual syndrome, heart diseases and even hypertension. Reducing muscular tension and easing emotional stress are the key to preventing and cure migraines. It is important to balance your lifestyle in order to effectively reduce and cure headaches for good. If you or your loved ones happen to suffer from headaches or migraines, acupuncture may be a great option. Contact us to discover more about how acupuncture and herbal medicines can assist you to get on the path to the healthy living headache free!